Does your junk car have a built-in GPS System? 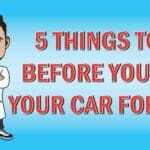 If so, consider selling that system separately to earn more cash for your junk car. You could even sell it for a few hundred dollars if the system is still intact. Portable GPS won’t sell for as much but it’s still worth removing from your junk car before you sell it. The average cost of a replacement exhaust system, complete with a catalytic converter, is around $500 – $1,000. 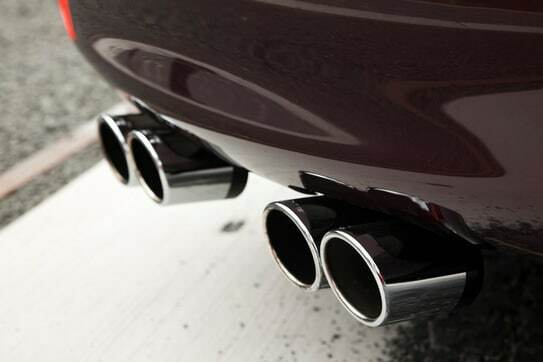 It is responsible for helping to control engine noise and reduce fumes released into the air. Its metal contents and important function makes it a hot commodity. If yours happens to be in good condition, removing the system and selling it can prove to be very profitable since they’re always high in demand. Any car manufactured after the year 1975 has a catalytic converter. This just means that this car part is always in demand. 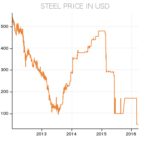 Comprising precious metals like palladium, platinum, and rhodium, this part has a resale value that’s certainly worthwhile. Another valuable car part you can sell for cash are the fenders. Responsible for protecting the wheel wells and the vehicle’s undercarriage, fenders can earn you a few extra bucks. Replacement fenders for newer cars can be expensive, so many car owners look for used ones to save some cash. Having a fender in good condition allows you to get more money for your old car parts. With thousands of car accidents happening each year, the need for replacement car parts is always high. Used car parts like doors, windows, mirrors, and electrical components like the lock/unlock buttons are always a necessity. When a car is pretty banged up and the mechanic needs new car parts like a door, window, or lock and unlock button, they will look for a comparable door to attach. For someone with a four-door car, you can really make a decent return on selling the doors separately. The bumper’s purpose is to help protect the front and back of the vehicle in low-impact accidents. Most of the vehicles today have bumpers that comprise materials like steel, fiberglass, aluminum, and plastic. The newer design is said to help reduce the damage from impact. Depending on what car you have and how old it is, your bumpers can fetch a few hundred dollars. 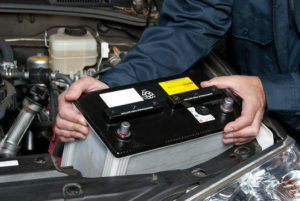 Car batteries are very valuable car parts that should be removed from your junk car prior to selling it. There are two ways you can earn money from a car battery. The first would be to take it to a salvage yard and recycle it, which would give you about $20. You can also try refurbishing your battery with Epsom salt and distilled water. If successful, the battery could last another 5 years. Obviously, a functioning battery will get you more money than one that is completely dead. Either way, it’s extra cash for your junk car parts. In the current climate, being in a car without an air conditioner during the summer is sheer hell. Thus, a fully functioning air conditioner would be high in demand – especially during the summer months. If you can safely remove your cooling system and/or compressor you could get a few bucks for it. Did you know that you can have the air bags removed from your junk car prior to selling it? Airbags, of course, help to provide safety should you be involved in an accident. However, if your airbags have never deployed, they could earn you some extra cash. Airbag installation can cost a whopping $1,000 for parts and labor. This pushes most car owners to look for a more affordable unused air bag system. If you happen to have the right ones you could get a couple hundred bucks for your car parts. Okay, so you won’t get as much money as you would for selling your airbags. But you can make some gas money by selling your windshield wiper arms. Have you ever had to pay for a used tire? If so, you know exactly how expensive they can be even on the smallest car. If your tires are still in good condition, you could turn them into cash. 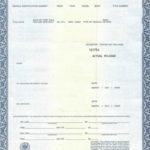 As for rims that can cost hundreds of dollars apiece, rest assured you would make some money on this valuable car part. Chrome, aluminum, and alloy rims, for instance, are a hot commodity to car enthusiasts and street racers. You could end up with a few hundred, if not thousand, dollars in your pocket. The hatch or tailgate of a truck may be small in size but it’s big in value. You bet that it can be sold for cash. An intact truck hatch can earn you a few hundred dollars depending on the make and model of your vehicle. If your hatch happens to be customized in any way, you’d obviously make more than the standard stock tailgate. 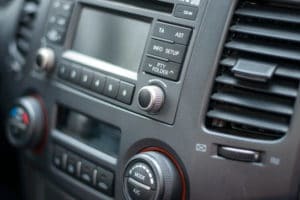 Have you upgraded the audio system in your car recently? If so, you’ll want to pull that bad boy out of your junk car before you sell it. The audio system such as the radio, TV, and speakers can all be turned into cash. Most consumers aren’t aware that they can recycle their oil filters and engine oil to make some extra cash. Try taking your car to any recycling centers or car garages nearby (read this post for more details). They can repurpose the oil and use it in other cars. Oil filters can easily be cleaned and reused, so throwing those in with the oil can get you a few more bucks. If you’ve had your car for a while, check around for any other valuable items you may have left behind. Whether it’s a cell phone charger, old jewelry, or even a car emergency kit, these things can be sold for a profit. Yes, removing car parts to sell for cash is a great idea. But bear in mind that you’ll need to be skilled enough to remove the parts safely. You’re going to have to take the car apart. Not to mention, you’ll have to find the right buyer for each of these parts. 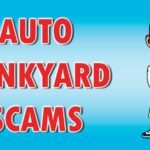 Rather than spend all that time trying to remove car parts to sell them separately, you may want to contact a junk car buyer like Junk Car Medics. A lot of the above-mentioned parts are recyclable. An auto recycling company may be willing to offer you more to keep those parts. Later, they then can remove them for proper recycling. It’s a lot less time wasted – certainly a good way to get cash on the spot for your junk car.